It’s been a long, hot summer. Hopefully you were able to fit some fun trips in with plenty of rest and relaxation. Even if you enjoyed a staycation by the pool, we at Integrity Air Conditioning & Heating hope that you soaked up plenty of sun and enjoyed lots of down time for your rejuvenation. It may be hard to believe, but those long, leisurely days of summer are over and winter is just around the corner. For many in and around Phoenix, winter is a busy time, not just with work or the often hectic school routine, but also because so many people from out-of-state come to our area to escape the cold. Snowbirds return (welcome back! ), visitors arrive for family reunions and winter breaks, and overall, tourism heats up again. 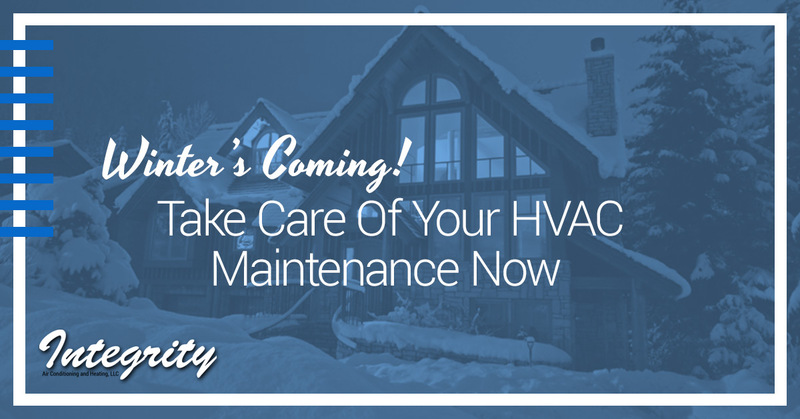 During this busy time, some people forget that even with our relatively mild winters, cold days are almost upon us, and it’s easy to overlook important HVAC maintenance that needs to be done this time of year. We don’t want you to find out that your heater needs service the day you decide it’s time to turn it on because temperatures have suddenly dropped or visitors have arrived. We want you to be prepared! So here are a few friendly reminders of what you need to have done now to get your HVAC system ready for the winter cold. Before you start cranking up the heat again, make sure that your unit is circulating clean air throughout your house and working as efficiently as possible. 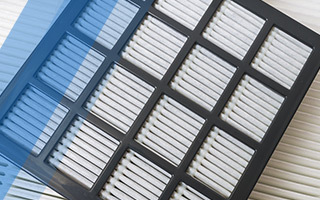 Replacing your filters is a way to ensure that your indoor air quality is the best it can be. While it’s a relatively simple task, know that if you’ve never done this job yourself, or you’re simply not comfortable doing it, you can always contact HVAC contractors to come out and take care of it. We at Integrity Air Conditioning & Heating will be happy to do so, and if you like, we can walk you through replacing a filter so you’ll know how to do it next time! Items can accidentally fall into vents and block them; it’s even possible that these items fell into your vents while your home was being constructed and have been blocking them ever since. Or if you have young children or pets in your home, don’t be surprised if they think it’s fun to stuff or throw toys down vents! To make sure your HVAC system is working as efficiently as possible, have your vents checked to ensure nothing is obstructing them. It’s a great idea to turn your heat on well before days (and nights) get cold. Since it’s been a while since you’ve used your heating system, dust has settled and you’ll likely smell a faint burning smell until the accumulated dust has burned away. This is another reason to test your system early; it gives you a chance to clear out that weird smell before winter visitors arrive! If you discover that something’s not working right during your test, or if you don’t feel any heat coming from the vents, then it’s time to call a professional to check things out. Usually it’s just a minor thing, such as a component needs replacing. It’s better to find out that your HVAC system needs maintenance now, before the cold and the snow get here, than later on when you really need your heating system to work! We have been serving the greater Phoenix area since 1991. Over the years we’ve served hundreds of customers and helped them with their A/C and heating needs. Integrity Air Conditioning And Heating sets the bar high because we believe in quality service, quality systems and parts, and high standards. For your convenience, we offer HVAC maintenance agreements and discounts to help save you more money while extending the useful life of your system. Reach out to Integrity Air Conditioning And Heating today!